Host a birthday party at The Sweetest Destination on Earth! Our deluxe birthday parties are sweet, simple and recommended for ages 5 and up. 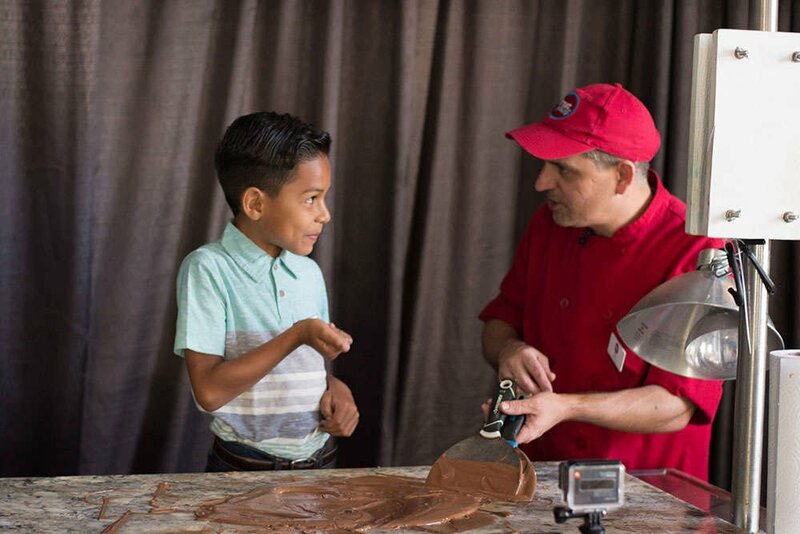 All deluxe candy birthday parties include a fun and interactive candy making experience of the birthday boy/girls choice, extended time, ice cream cake and more. 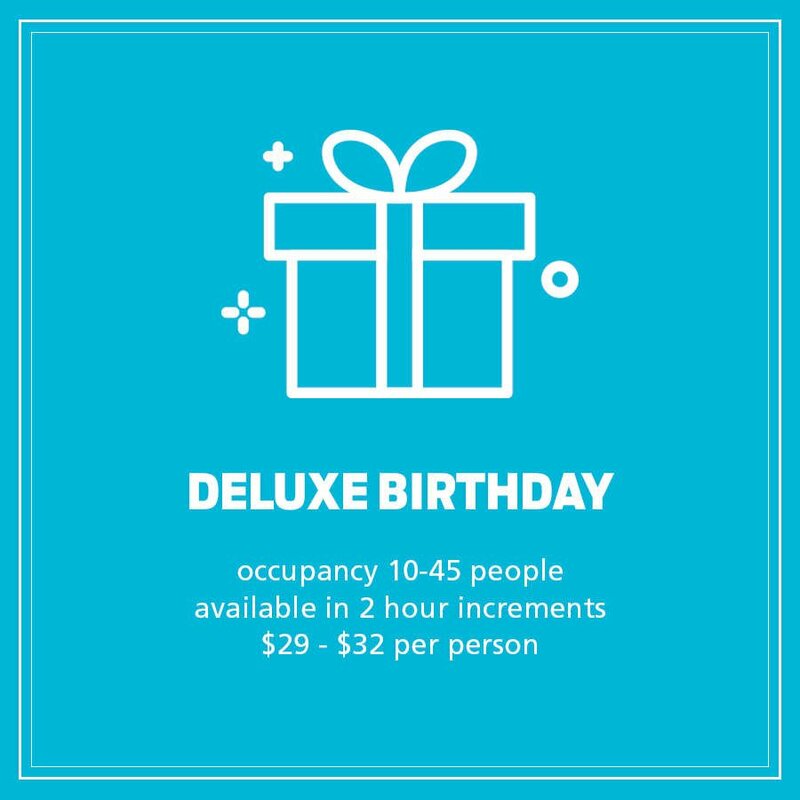 Deluxe Birthday Parties are only available in our "CANDY" or "CHOCOLATE" rooms, which you can book from this page. Option to add on food from the MLG restaurant or additional activities when our party coordinator contacts you. 25% OFF All Weekday Parties (Tues- Friday) Does not apply to extras or food. Call or email us if you do not see the weekday time you need. *Please note you will be able to pick your candy type on the contract that is emailed to you after you reserve a date and time online. There is a non-refundable deposit of $75 to reserve your date and room. This deposit will go towards the total cost due the day of the party. After we receive your deposit, a party coordinator will contact you within 48 hours to finalize the details and email you a contract. 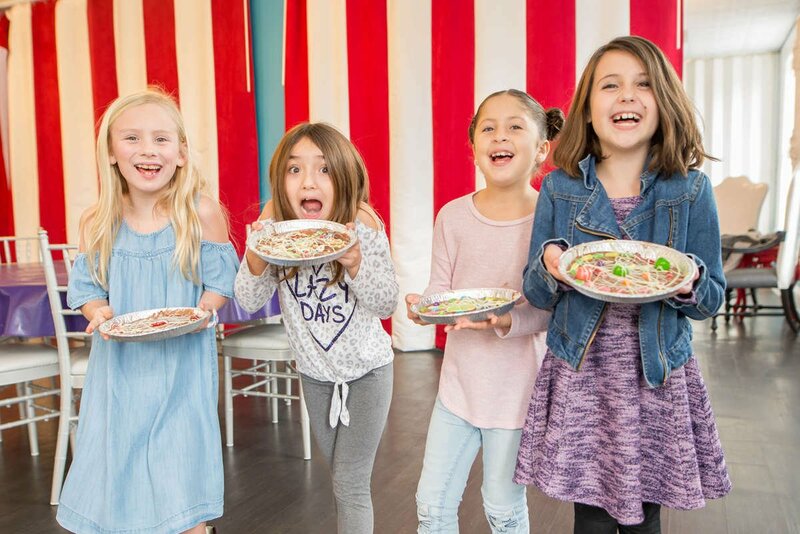 Book a kids birthday party in Jacksonville at Sweet Pete's today! Decorations are provided for this party, however we will accommodate a 10 minute set up for simple outside decor if you would like to add to what is provided. There is a $35 cake fee to bring an outside cake. This party package does come with an ice cream cake from Sweet Pete's. No other food or drinks are allowed to be brought inside. Food from the restaurant inside the building can be added when booking this party. These can be added when your party coordinator contacts you. There is no charge for adult chaperones, as they do not participate. Seating is provided for the children. A party for 10 kids will have 10 chairs and 10 place settings. There is standing room for adults and guests. They are welcome to check out the store, cafe, and dessert bar. Adult party host must be with party at all times and is responsible for children that are dropped off by parents. Please choose quantity 1 when booking the party on this website. Interested in other party package options? Click here to view our standard and themed party options. Have a child under 5? Click here to view our Toddler Parties. Interested in a hosting family, friends, or co-workers for a private candy making experience but not a birthday? Check out our full list of packages or rent a room by the hour. For any additional information please call (855) SWT-PETE (855-798-7383).